18:50. Just finished a light dinner. Looking out of the window, there was fantastic light in the sky. A stunning sunset was on it’s way. Sunset was expected to be at 19:15. 30 minutes to go (drive). I picked up my gear and tripod and jumped into the car, heading for the nearby lake (10-15 minutes drive). I arrived at 19:05 at the parking lot by the lake. I rushed to the platform (new location) at the sailing boat club and set up my stuff. Tripod, adapter, Fuji X-T1, lens adapter, filter holder, big stopper + ND grad, cable release. Looked for the optimal focus point, f11, bulb mode. By then it was 19:15. More clouds showed up during this time. Ready for the first 90 sec. exposure. Too dark. Next one. 120 sec. Still too dark. 240 sec. Looked ok on the small screen of the X-T1. Turned the camera from right to left. Other composition. Where is the focus point? Ahhh, found it. Next shot. 300 sec. Too dark. Next one. 360 sec. Looked ok. It is over. No light left. 5 images. Lesson learned. Be in time. I forgot to change the aperture from 11 to 8 to 5.6 rather than enhancing the time. Next time I will be prepared, focused and in time. Hope you still enjoy the last minute images. Have a nice weekend. Why I love to use the LEE Seven5 filter system! simple wow, Beautiful ! May like to check out, some of my clicks during our roadtrip : http://wp.me/p8p4rd-3g do give your feedback. Oh I look forward to seeing the video! Enjoy. Thank you! Magic moods and colors created by nature. Autumn… my fav time of the year! 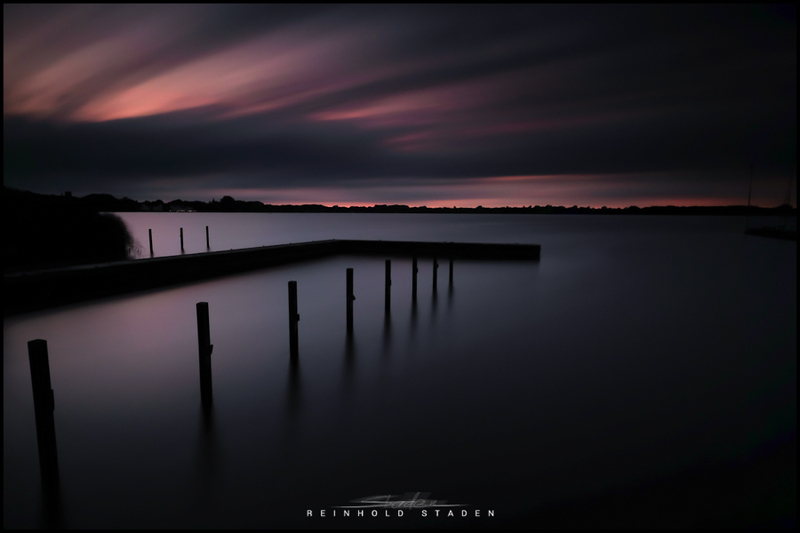 I really like the darkness and the colours in these photos Reinhold. I think they are very beautiful and sunsets in all there glory – we have seen a thousand of them. These photos are a really great contrast to the usual one’s. Nice to know I’m not the only one that forgets the other parts of the exposure triangle especially when under pressure. 😉 The shots still turned out fantastic! I would have no complaints here. Just lovely. Very dramatic. I like the dark. This was a very helpful lesson, once again. 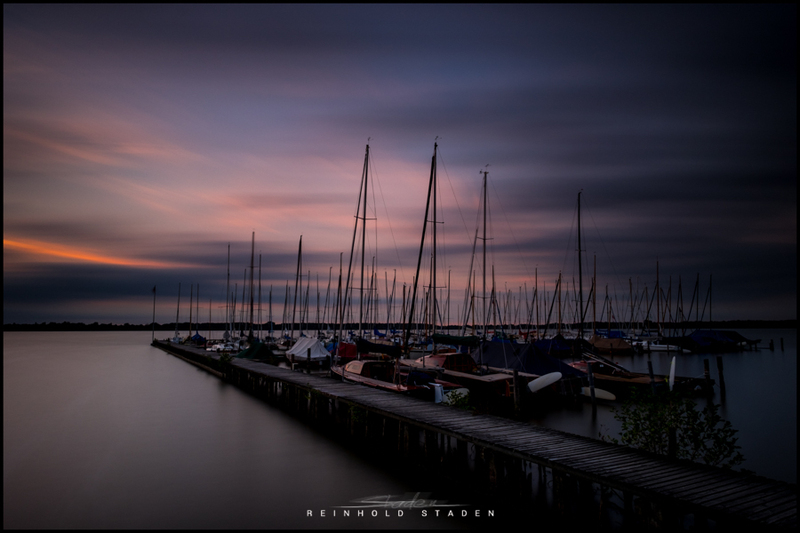 🙂 Beautiful captures, Reinhold. Fabulous colour and I love those streaky clouds. Colors are absolutly fantastic ! I was tempted to convert these images into black and white. Glad I did not. Thanks, Christine! Wow, 300 and 360 second! Lots to learn of capturing nature light here. These two photos are perfect and beautiful, Reinhold!